Apart from a high requirement for the precision of graphics, the refinement of printing electronics ink needs to involve functional printing ink. The pretreatment of substrate, especially non-permeable substrate, holds the key to ensure printing accuracy without compromising the performance of printing ink. Therefore, the topic deserves more efforts to investigate the feasibility of enhanced printing ink and mass production. In this study, PET was first pretreated through the process including plasma, coating (PVA and PVP) and then both particle-type and non-particle type (silver ammonia complex) nano silver ink were printed and sintered. The final findings indicated that particle-type nano silver ink achieved a better electrical property on PET with PVA coating while non-particle type nano silver ink advanced its electrical property on PET pretreated by plasma. 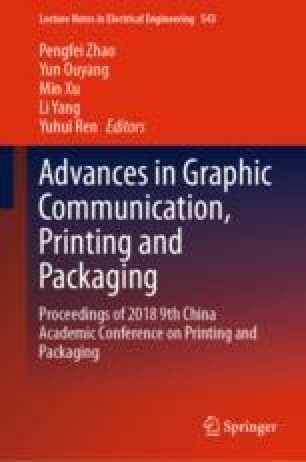 This study is supported by Lab of Green Platemaking and Standardization for Flexographic Printing.